The Human Safety Net is Generali’s new flagship initiative for the community. It brings to life our purpose of protecting and enhancing people’s lives beyond our day-to-day business. As leaders of our programmes, partners are the backbone of The Human Safety Net. Together, we are weaving together a global chain of NGOs that are all acting locally, but connected globally by The Human Safety Net. منذ عام 1994، تدعم SPARK ريادة الأعمال للمهمشين في أوروبا وأفريقيا والشرق الأوسط. ونؤمن أن النمو الإقتصادي المستدام ضروري للإستقرار والسلام. من خلال خلق فرص العمل وتوفير التعليم، SPARK يخول النساء والشباب واللاجئين من الحصول على الإستقلال الإقتصادي والمساهمة والفعالية في المجتمعات المحلية. ELTERN-AG is The Human Safety Net’s partner for the Families programme in Germany. ELTERN is a preventive empowerment program especially for families who are socially disadvantaged because of poverty and isolation. It focuses on the participants' needs and improves their parenting skills in order to provide better education, health and life chances for their children. PLACE تحول أزمة المهاجرين إلى فرصة للنمو من خلال خلق مجتمع من القادة القادرين على تطوير أعمال مستوحاة من التحديات الخاصة بهم. مختبراتPLACE هي مساحات ظاهرة تفاعلية حيث يمكن للقادمين الجدد الوصول إلى الموارد التي يحتاجونها لتطوير إمكاناتهم. يوفر SOCIAL IMPACT المشورة من قبل خبراء في الشركات الناشئة لرجال الأعمال الذين أعمالهم التجارية لديها القدرة على حل التحديات المجتمعية. وتمنح المنح إلى ما يصل لثمانية أشهر من الإستشارات المهنية والتدريب وورش العمل وأماكن العمل المشترك. ولدينا تركيز خاص على المهاجرين والشباب العاطلين عن العمل. SINGA is The Human Safety Net’s Partner for the Refugee Start Ups programme in France. SINGA creates opportunities for refugees and their host communities to meet and cooperate. Its aim is to build bridges between people that change perceptions about refugees through dialogue, cultural enrichment and creating job opportunities. 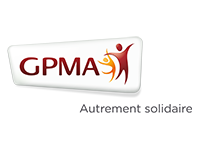 GPMA, an underwriter of health and welfare insurance contracts, and a preferred partner of Generali France for 40 years, is supporting The Human Safety Net for families project based on its experience of working with disadvantaged families. Faithful to its Autrement Solidaire motto, the association promotes mutual support and assistance among members in difficulty, plus support from other associations working in the health and care sector for the disadvantaged, principally through its long-established Atout Soleil sponsorship programme. Tent Partnership for Refugees is a coalition of more than 80 companies that have made commitments to support refugees around the world. Tent was founded in 2015 by Hamdi Ulukaya, the CEO of Chobani yogurt, to mobilize the private sector to improve the lives & livelihoods of the more than 20 million men, women and children who have been forcibly displaced from their home countries. For more than 30 years, the Emmanuel Foundation in La Plata (Buenos Aires, Argentina) has been working to make family life a reality for all children, not just a privilege for some. They carry out programs for disadvantaged families and children in foster care empowering them in the process of raising their child. HOPE Worldwide is The Human Safety Net’s partner For Families in Indonesia. Their mission is to bring hope, and change lives in vulnerable communities through education, health services, and community development. Established in 1994, HOPE worldwide Indonesia serves over 120,000 people supported by over 3,000 dedicated volunteers. 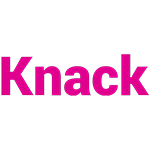 Knack has partnered with The Human Safety Net’s Refugee Start-Ups programme to identify talented entrepreneurs in Paris and Munich, guiding them to the most promising areas of skilling and employment, removing the barriers and biases that stand in one’s way and thus, helping create a new pathway to economic and social inclusion in the digital economy. A Silicon Valley technology start-up, their mission is to help individuals from all walks of life discover and unleash their hidden human potential for success in the digital economy, via its smartphone games by computing over 35 foundational human skills. The Boston Consulting Group (BCG) is a global management consulting firm and the world's leading advisor on business strategy. BCG has made a major institutional commitment to social impact, working with organizations in the social, public, and private sectors to deliver frame-breaking solutions to some of the most complex problems in contemporary society. We have joined The Human Safety Net movement because we share the purpose of unlocking the potential of those who advance the world. Tomillo Foundation is The Human Safety Net partner of Families programme in Spain. Based in Madrid, they develop comprehensive attention programs for children and adolescents to facilitate, stimulate and promote the personal and social child development. By working on emotional, cognitive and behavioral aspects, they help children to create their own identity, promoting enriching activities and positive relational experiences. The Centro per la Salute del Bambino (Center for Child Health and Development), is a non-profit organization founded in 1999 in Italy by a group of childcare workers. CSB’s mission is to provide equal opportunities for cognitive, emotional and relational development to all children, and it operates both in Italy and internationally. Asociatia OvidiuRo is The Human Safety Net’s partner for the For Families program in Romania. OvidiuRo focuses on providing children in need with the highest quality education materials and age-appropriate books, training teachers to take best advantage of these tools, helping parents understand the importance of reading with young children and helping disadvantaged communities open new kindergarten groups so that there is room for everyone. ZPM Moste is The Human Safety Net’s partner for the For Families program in Slovenia. ZPM Ljubljana Moste-Polje (Association of Friends of Youth) has been working with children and families for over 60 years, evolving special programs for families in need and placing special emphasis on improving opportunities for children. The association concentrates on strengthening parenting skills and helping parents improve family life for themselves and their children. La Sauvegarde is one of The Human Safety Net’s partners of the Families program in France, active in Brittany. The association helps empower parents, focusing on their needs and wishes and helping them build confidence in their parenting skills. It also provides educational, pedagogical, psychological support to families and helps facilitate personal development and social inclusion. 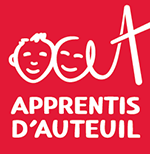 Apprentis d’Auteuil is a national and international Catholic NGO that works with children, young adults and families, and is one of The Human Safety Net’s partners of the Families program in France. Through several different facilities, the association welcomes people in difficulty, hosting them according to their needs and personal situations. 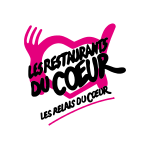 Les Restos Bébé du Coeur is one of The Human Safety Net’s partners of the Families program in France. Based in Agen (Nouvelle Aquitaine), it provides specific products that have been identified as truly necessary for parents and parents-to-be, including food, clothes, diapers and baby toys (children ages 0-18 months). The association also provides advice on pediatrics, diet and childcare. 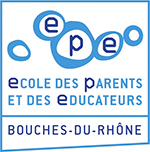 L’école des parents et des éducateurs des Bouches du Rhone is one of The Human Safety Net’s partners of the Families program in France. Its aim is to support parents, social workers and teachers and facilitate the link between home and school. It is based in Marseille (Provence) and is famous for targeted actions the association runs in September and October, when children enter nursery school. Intermède Robinson is one of The Human Safety Net’s partners of the Families program in France. Based in Essone (Ile-de-France), they run efforts directly in areas where the most disadvantaged families are located, including shantytowns, parking lots and emergency shelters. Working directly with children, they organize cooking activities and cultural, athletic and artistic moments for isolated families in need. 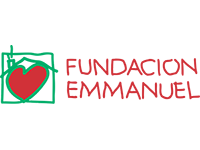 L’Albero della Vita is one of The Human Safety Net’s partners for the For Families program in Italy, where the association has been working to ensure children’s wellbeing since 1997. It focuses on protecting children, promoting their rights and fostering their development, as well as supporting families and communities as they work to achieve the same goals. In 2010 L’Albero della Vita began focusing on childhood poverty as well, supporting disadvantaged families through a series of interventions aimed at safeguarding the right of every child to grow up under the best environmental, familial, emotional and psychological conditions possible. The goal is to give disadvantaged families a second chance, support parents and pay special attention to children’s needs. Active since 2000, Mission Bambini is one of The Human Safety Net’s partners for its For Families program in Italy, where the association helps and supports poor, sick and uneducated children, or those who have suffered physical or psychological violence, giving them hope and a chance for a better life. Mission Bambini has two primary focuses: educating children in Italy; and combating heart disease in infants abroad. Over the past two decades the association has helped roughly 1,350,000 children in 73 different countries through more than 1,500 different projects. Based in Berlin, the Stadtteilzentrum Steglitz has been working with children and teenagers for over 20 years, and is one of The Human Safety Net’s partner of the Families program in Germany. From running kindergartens to engaging socially disadvantaged families, Stadtteilzentrum Steglitz places an emphasis on cooperating with local citizens to create better living conditions, strengthening and supporting the entire neighborhood. 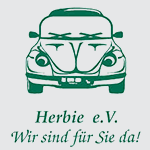 Based in Leipzig, Herbie e.V. is The Human Safety Net’s partner of the Families program in Germany, offering ambulatory educational aid, stationary aid in living groups and more. Located in Saarbrücken, Caritas is one of The Human Safety Net’s partner of the Families program in Germany, and provides mentoring for families, houses for children and assistance for early childhood development. As one of The Human Safety Net’s partner of the Families program in Germany, the Lernende Region offers in Cologne education for mothers and fathers in a broader sense, focusing on the benefits that can be gained by successfully empowering parents. Lernende Region believes firmly that “strong parents = stronger children”. Originally founded in 1997, CHIP (Children in Progress) is a partner for The Human Safety Net’s For Families program in India. The organization’s primary goal is to promote quality education in public schools, giving every student an opportunity to realize her or his potential, acquire knowledge, new skills, and an attitude that will help him or her become successful citizens and lifelong learners. CHIP endeavors to work with the system, leveraging available resources to implement child-centric programs that can strengthen the system and drive educational reform. The organization currently conducts different programs across twelve schools. A partner for The Human Safety Net’s For Families program in India, Mumbai Mobile Creches (MMC) has been working with the children of migrant contstruction workers who live on construction sites for almost five decades. The association believes that a happy, nurturing childhood is the best path to effective citizenship, and works to make sure every child living on a construction site is safe, healthy, well educated and free to enjoy childhood. MMC addresses the educational, health and nutritional needs of children up to age 14, currently operating roughly 15-25 daycare centers every year across Mumbai, Navi Mumbai and Thane regions of Maharashtra, assisting over 3,000 migrant children. Over 60% of these children are ages 6 or under, therefore the focus is on ECCE (Early Childhood Care and Education) as a way to facilitate social and cognitive development. The Novak Djokovic Foundation is The Human Safety Net’s partner for its For Families program in Serbia. Active since 2007, the foundation invests in education and support for young children, creating strong partnerships with citizens’ associations and community-based organizations in Serbia in order to give children living in disadvantaged communities an opportunity to engage in creative play and learn how to develop values and skills that will give them a head start in life and help them achieve their full potential. Over the past 11 years the foundation has built or refurbished 37 preschools, trained 1,322 teachers, supported 683 families, and served 20,708 children. Over the next decade the foundation aims to establish Serbia as a regional ECED (Early Childhood Education and Development) hub of excellence and increase preschool access in Serbia from 50% to 90%. Union of Mother Centres (UMC) is The Human Safety Net’s partner for its For Families program in Slovakia. First established in 2003, UMC acts as an umbrella and networking organization for mother and/or family centers across Slovakia, supporting nearly 60 institutions. The organization’s mission is to increase respect for and recognition of motherhood in society, helping support motherhood in the best interests of children, mothers and families. Efforts include educational and/or training programs for mothers, networking, supporting mother and family centers, interaction and lobbying efforts with the Slovakian government and the country’s private sector, protecting mothers’ rights, combating domestic violence, organizing social and cultural events and more. FITT Gmbh – an institute for technology transfer in Saarland’s University for Applied Science for Technology and Economics – is The Human Safety Net’s partner for the For Refugee Start-Ups program in Saarland, Germany. The institute’s goal is to support refugees and migrants who want to open businesses and achieve professional independence, providing access to professional trainers, coaches and volunteers. As a research facility dedicated to achieving applied results, FITT is considered among the best in class for organizing successful cooperation between professors, the university and external partners. Wintegreat is The Human Safety Net’s partner for the For Refugee Start-Ups program in France, opening the doors of Grandes Écoles to young refugees under international protection, implementing dedicated programs designed to help them get jobs and promoting integration inside companies. Wintegreat supports refugees who want to start a new professional life in their host society, helping companies identify talents and diversify their recruitment policies, and coordinating with universities to make a positive impact on the lives and experiences of refugees and students. 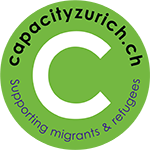 Capacity Zurich is The Human Safety Net’s partner for the For Refugee Start-Ups program in Switzerland. Based in Zurich, Capacity is a start-up incubator for people with refugee and migrant backgrounds who are interested in launching a business or socio-cultural initiative. The institute offers specialized, bilingual entrepreneurship programs that let refugee entrepreneurs and locals interact within a collaborative, skill-sharing environment. The Marie Meierhofer Institute for Children (MMI) is The Human Safety Net’s partner for the For Families program in Switzerland. For over 60 years, MMI has been committed to ensuring that all children, both inside and outside the family, are given an opportunity for healthy growth and upbringing. Supported by a research group, MMI develops assistance programs for children and their families, building centers that foster positive relationships though play and dedicated activities.